Spinomenal brought back the culture of spell and charm back to us with its slot, 8 Lucky Charms online. It took us to the Ancient Chinese civilisation where spell and charm are prevalent. It also gave us an opportunity to have a glimpse of the Chinese lifestyle, belief, and culture. It comes with several Chinese symbols and soundtracks. However, the music synchronised with the graphics and interface. This production is one of the best and most popular games in the UK. You do not need to download this pokie as it comes with a no download policy. Simplicity is the hallmark of this game. The simplicity of its graphic blends with the colour of the slot which is bright red. The color is a known as a color of prosperity. In addition to this, you do not need to rack your brain while you play the game. The developers were benevolent enough to line up the commands below the spin help you while gambling. 8 Lucky Charms is a 5 reel and 50 payline game which allow you to win in many ways. For you to play, you need to place a bet between 0.01 and 10 coin per line. However, the highest bet you can place is 500 coins per spin. The paylines are fixed, but the bet lines can be adjusted to fit your risk level. You could place a high bet since the higher bet gives you the higher payout. You could also sit back and watch the gameplay by pressing its Auto spin button. The basic characters in this game are 8 and could be the reason for the name of the slot. These characters are divided into high and low paying characters. On the one hand, the high paying symbols are Empress, Emperor and Gold Coin. On the other hand, the low paying icons include the playing cards inspired symbols. The high paying symbols are very rare as they do not appear anyhow on the slot. Wild symbol: Tiger is the wild symbol in this slot, and it is capable of substituting other symbols to increase your wins. If you could gather more than 1 tiger, you would earn a multiplier of up to 5x. Scatter: The kitty is the scatter, and it is responsible for triggering the free spin round. All you need to enter this round is three kitty icons. Ying-Yang symbol: With this symbol, you have an opportunity of making more money by flipping coins. 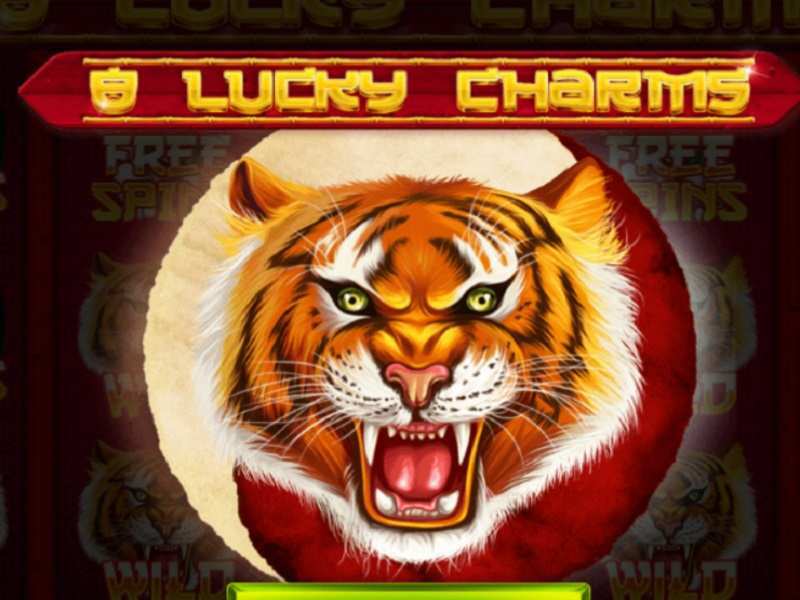 To play 8 Lucky Charms casino slot machine for free or real money, you need to consider all these symbols. Deposit money into the casino and place your bet to start winning. The game is magical, and it is developed to make you richer with its bonus features. Its simplicity and beauty also added to its appeal to people. You can play 8 Lucky Charms online to enjoy the excellent gaming experience. 0 responses to "8 Lucky Charms Slot"